When I want to keep my hair out of my face, it's usually a tossup between a bun or a quick braid. But with the braided bun, I get the best of both worlds. These beautiful styles are fairly simple (though a few are a little tricker). 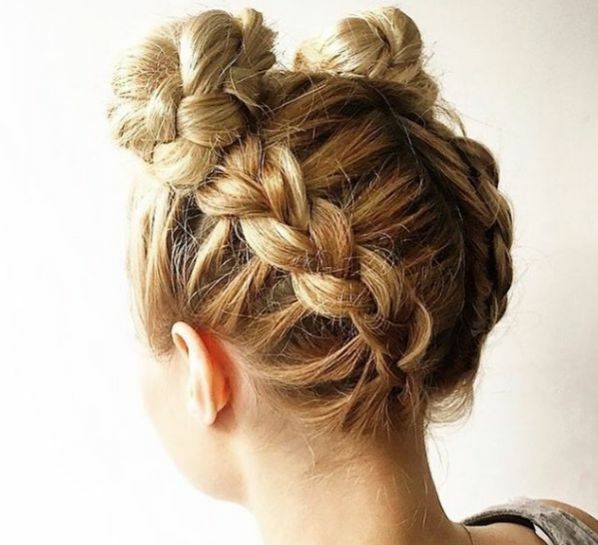 If you want to try a casual look that has a little more texture and detail, try one of these braided buns. Get your bobby pins, hair ties, and nimble fingers ready, you're going to want to give a few of these a try. A donut bun helps get the perfect bun shape. As you braid around the bun, you'll get a pretty look that's practically perfect in every way. The look is just a basic lace braid using the bunned-hair as your pickup section. Easy and cute! Ths detailed twists in this beautiful bun are fun. The skinny piece work makes the braid look a little harder than it is. Make sure to have some bobby pins on hand to keep everything in place. I love that this looks casual and dressy all at the same time. This style is a bit tricker as you will be braiding from the bottom of your neck up to the top of your head. 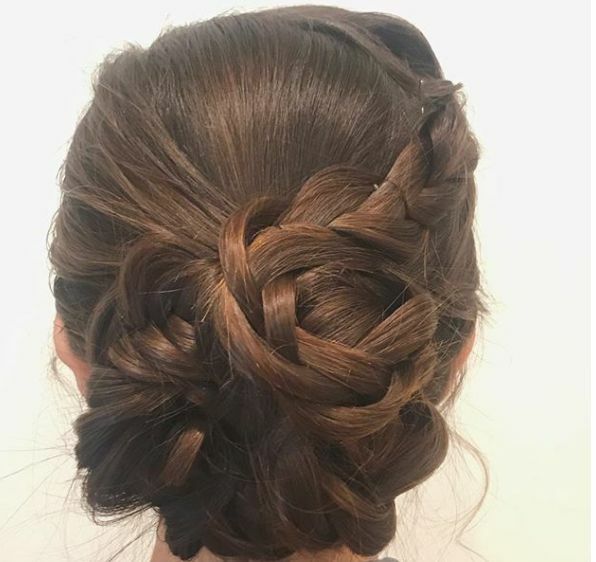 It's a simple dutch braid, so if you can get your handwork right, this look is an excellent quick, dressy option. 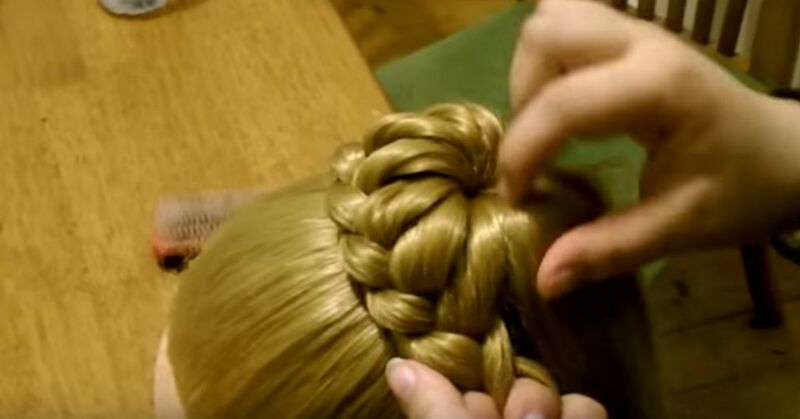 Working a simple lace braid from the bottom to the top creates a gorgeous hairstyle. The double buns are a fun way to be a little more playful with your look. It's a great summer look that keeps your hair out of your face with a bit of pizazz. 5. Bohemian braided bun (h/t Aquamarinemakeup)If you have 10 minutes to spare, try this simple French-braided bun. Pro tip: You'll need to brush your hair all the way out because tangles will make the look a little more difficult to finish. This fun look starts formal and tight and ends up a little more carefree. If you have highlights or low lights, this braided bun is the perfect option for showing them off. The delicate braiding at the bottom is such a stunning texture that you don't need anything else to dress the look up.